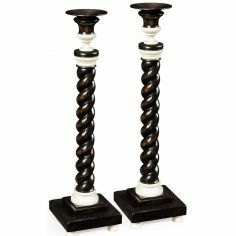 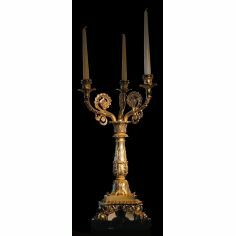 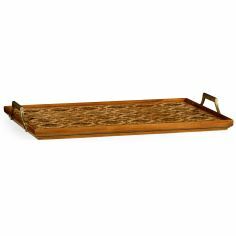 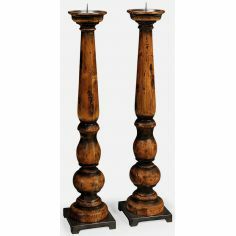 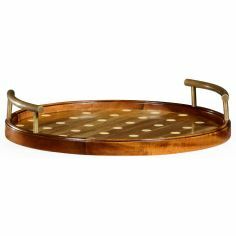 This magnificent show piece made of high quality sustained wood will add that dash of fine class to your abode with no extra efforts. 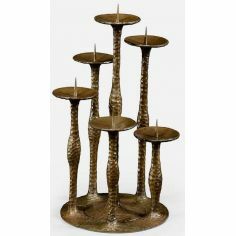 Just place this distressed finish carrying ornamentation and see how your room turns into an elegant space in a wink. 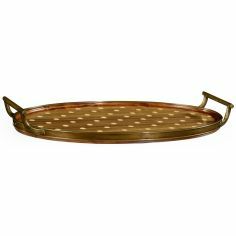 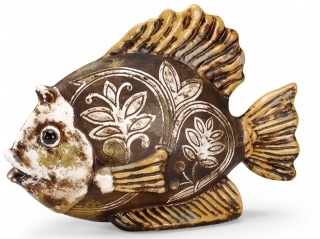 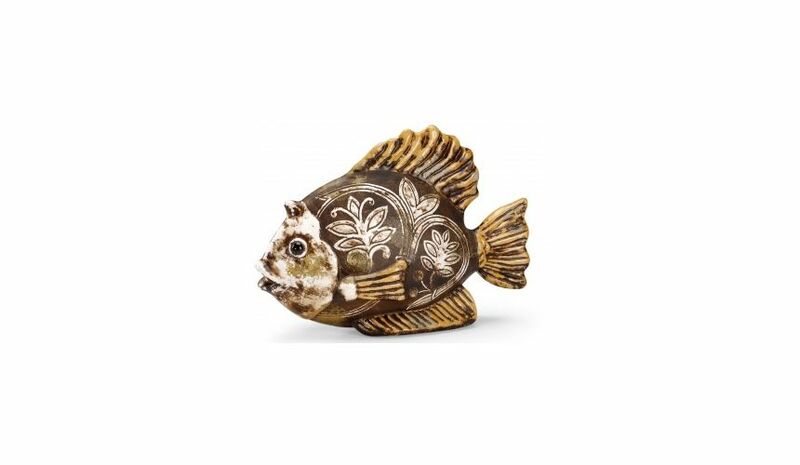 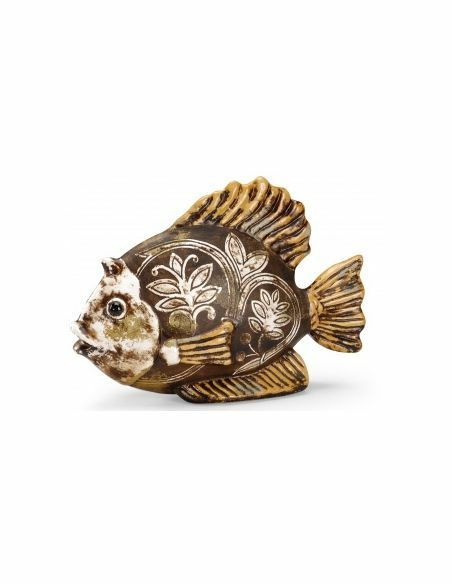 It is carefully hand painted in brown and golden and the beautiful fish design would complement your decor all the more.